This week Your Advocate is Barrister Omar Khan Joy, Advocate, Supreme Court of Bangladesh. He is the head of the chambers of a renowned law firm, namely, 'Legal Counsel', which has expertise mainly in commercial law, corporate law, family law, employment and labor law, land law, banking law, constitutional law, criminal law, IPR and in conducting litigations before courts of different hierarchies. Our civil and criminal law experts from reputed law chambers will provide the legal summary advice. We purchased a piece of land sixteen years back in the year 1996 from one Rowshan Ara Begum of Mouja Karamtala under Tongi P.S, district Gazipur and we are in the position of the land since then. For last few years we tried to change the name of the ownership of the land in our name as per the deed. But the local land office continuously refusing to do so saying that the land is marked as 'vested property". It has been seen in R.S Porcha that the property belonged to some Hindu who left Bangladesh before independence. Now we come to know that in the last session of our parliament a bill under the title' Vested Property Return Bill" has been passed. Before we purchased the land the same had undergone many hands, that we are not the person to purchase the land first. As per the new law how we can claim the ownership of the land and bring it in our name as we purchased the same by saf kabala deed and we are in possession of the same for last sixteen years without any obstruction and nobody approached us claiming the ownership so far. Can it be called a 'Khas land"? We shall be grateful if you please give us an advise as to how we can get this problem solved. Thank you for your query. Yes, you are right in saying that the Parliament has passed a new Act. However, unless your property is listed as a vested property, you need not worry about the new Act. Furthermore, inclusion of some properties in the list of vested property may also be done improperly. Hence, even if the property is so listed, the same may be challenged. If you have sufficient proof, then the court may instruct the property to be delisted from the list of vested property. In the said circumstances, you should first check whether the property in issue is so listed and if so, you are strongly advised to physically meet a lawyer with all the papers related to the land to see whether the same has been listed lawfully. If the lawyer, after perusal of the document is of the prima facie opinion that the listing is illegal, then you may proceed with filing of a writ petition. The fact that you have purchased the land and are in peaceful possession of the same for 16 years will certainly boost up your case on a factual ground. I am not inclined to advice here in a very specific manner, without being able to peruse the documents. 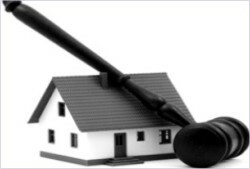 Property issues are getting more important day by day because of the dramatic increase of price of landed properties. You are, therefore, requested not to waste further time and immediately consult a lawyer. For detailed query contact: omar@legalcounselbd.com.